Are you tired of using desktop tools which often fail to download ebooks from Google Books in PDF and in image formats due to copyright issues and other imposed restrictions? Google Books Service doesn’t permit users to download full and free digital editions of books without digital copy protection. You have to visit the 'Google Books' page for reading and the interface is not that reader friendly. If you’re looking for an application which can remove such restrictions while letting you seamlessly download free electronic books from Google Books, you have two options. It’s a small portable application which not only downloads Google Books in PDF format but can convert pages into JPEG format. 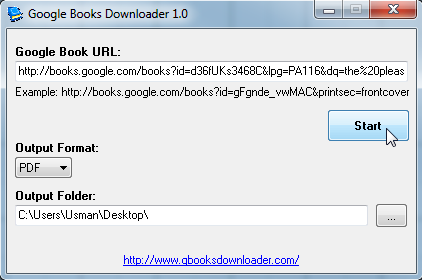 The only thing it takes to download book is the URL Link of the book provided by Google Books service. 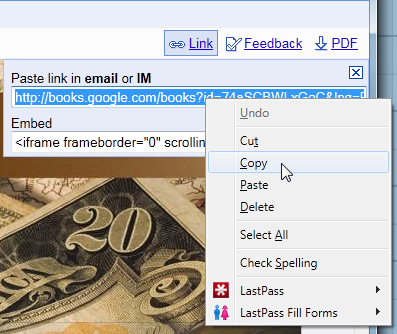 By default, it saves books in PDF format, however, you can change the Output Format to JPEG before clicking Start. 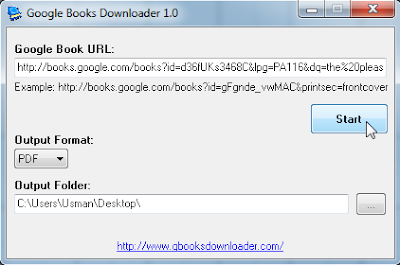 If you don't want to install any software, don't want to copy and paste the links from Google books to the downloader, you still can download Google ebooks. 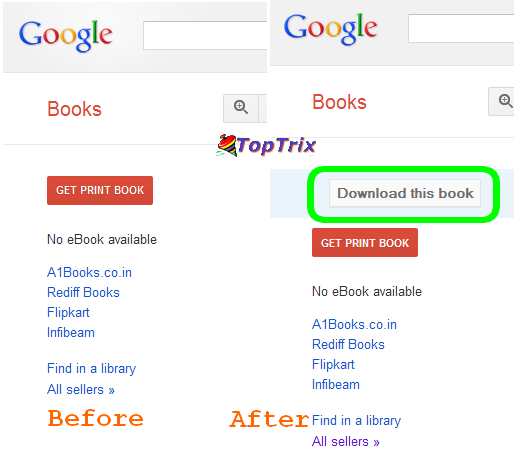 If you are using Firefox, Google Chrome or Opera browser, you can easily download the books. It does the same that the software do. But this does not allow you to change the downloading format of final eBook. You will get the original book as it is on Google books site.